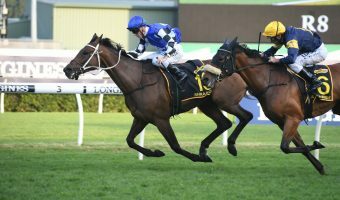 The world’s best mare Winx will be “on the plane” to England for a Royal Ascot bid mid-year according to trainer Chris Waller should she win her Group 1 autumn targets emphatically. Triple Cox Plate champion Winx will race in England’s Royal Ascot Carnival should she salute in her Group 1 autumn race targets in Sydney. Photo: Ultimate Racing Photos. Connections of the country’s now highest-ever earning racehorse are keen to test Winx at elite level overseas with the Royal Ascot Carnival calling for the champion daughter of Street Cry. 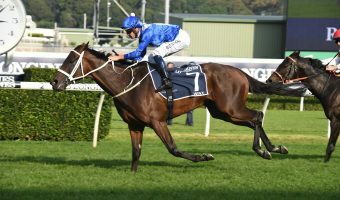 Having been inoculated to keep the international trip on the cards, Winx will not be confirmed for England and the Group 1 Queen Anne Stakes (1600m) there in June until she proves herself once again over the Sydney Autumn Racing Carnival. Winx was last seen making history with a record-equalling third straight win in the Group 1 Ladbrokes Cox Plate (2040m) at Moonee Valley in October. That was her 15th Group 1 victory and saw her equal former champion sprint star Black Caviar. Waller has scheduled January 22 for the first public appearance of the season for Winx who will contest a Warwick Farm barrier trial ahead of a resuming run in the Group 2 $250,000 Apollo Stakes (1400m) at Randwick on February 17. 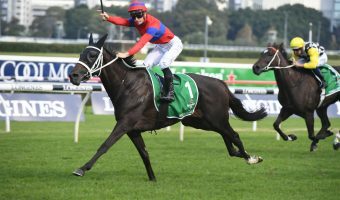 From there the freakish six-year-old will have at least two Group 1 runs, possibly three, with Waller confirming her for title defences in the $1 million Group 1 George Ryder Stakes (1500m) at Rosehill Gardens on March 24 and the $4 million Group 1 Queen Elizabeth Stakes (2000m) at Randwick on April 14 during ‘The Championships’. 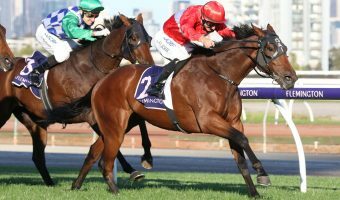 “If she wins the George Ryder by three lengths, and the Queen Elizabeth by two lengths, she’ll be on the plane,” Waller told RSN over the weekend. “She will go if she’s 100%. She had a gallop this morning [Saturday] and I came back [from the Gold Coast] to watch it specifically, so I was pretty happy with the way she worked. 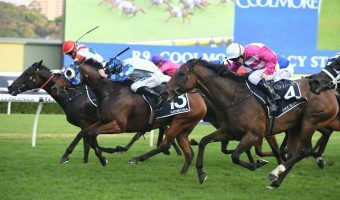 Winx won the George Ryder – Queen Elizabeth Stakes double on rain-affected tracks last autumn by a combined margin of 12.6 lengths, also taking out the Group 1 $600,000 Chipping Norton Stakes (1600m) by two lengths between the Apollo Stakes and George Ryder Stakes. In the Apollo Stakes Winx will start at her most prohibitive odds ever and chases her incredible 23rd win on the trot. As for her autumn grand final in the 2018 Queen Elizabeth Stakes, Winx is already odds-on at $1.40 to take out the lucrative feature again through Ladbrokes.com.au. To back Winx next race and over the autumn at the best horse racing odds in Australia head to Ladbrokes.com.au.